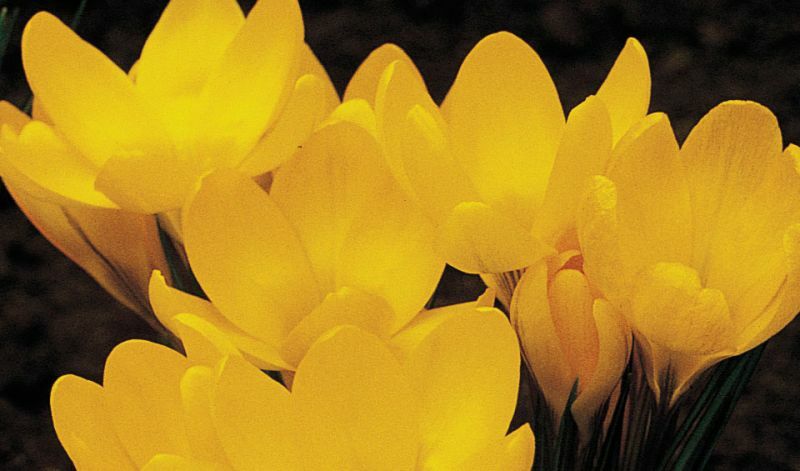 Looks like the Dutch crocus but its yellow flowers are a bit smaller in spite of the names under which it is sold: 'Large Yellow' and 'Yellow Mammoth'. Perfect for planting in lawns since its color contrasts beautifully against a green background. Species only; often sold as 'Large Yellow' or 'Yellow Mammoth'.